Maine Agri-Women work to promote all aspects of the state's agricultural interests from potatoes to lobsters. As far as Pam Townsend is concerned, even if someone has never set foot on a farm before, they are connected to agriculture. Townsend is president of the Maine Agri-Women, an Aroostook County-based organization dedicated to promoting agricultural issues and education statewide. The 42-member group is an affiliate of American Agri-Women, the country’s largest coalition of farm, ranch and agribusiness women with more than 40,000 members nationwide. The all-volunteer national organization was founded as an agriculture advocacy group in 1974. People, Townsend said, were becoming disconnected from farming in Maine with small family farms giving way to larger agri-business operations or disappearing from the landscape altogether. More than two decades later, Townsend said that image and awareness of agriculture in Maine has greatly improved and she is optimistic about its future in the state. That optimism is backed up by a 2014 census report issued by the U.S Department of Agriculture that showed farming in Maine was on the upswing following years of decline. The census data, collected by the USDA in 2012, showed the value of agricultural land in Maine had increased 24 percent over the previous five years. At the same time, there was an 8 percent increase of land devoted to farming in Maine. The number of farmers also increased from around 7,000 in 2000 to 8,176 in 2012. Maine is also bucking the national trend of an aging farmer population with the number of farmers age 34 and younger growing by almost 40 percent between 2007 and 2012, far ahead of the national average of a 1.5 percent increase in young farmers. That’s the kind of information Townsend wants to spread. Townsend and her fellow Agri-Women do just that, traveling around the state promoting all agricultural activities from potatoes to blueberries to lobsters. They speak at events, participate in fairs, organize agricultural fairs, support farm-related youth organizations and award scholarships to high school seniors going to on to postsecondary agricultural education programs. The group is also an advocate for agricultural interests in state, local and national politics. In 2019 the group will be supporting efforts to keep the annual harvest school break on the books in central Aroostook County. The group is also tackling the issue of increasing internet connectivity for Maine farmers. 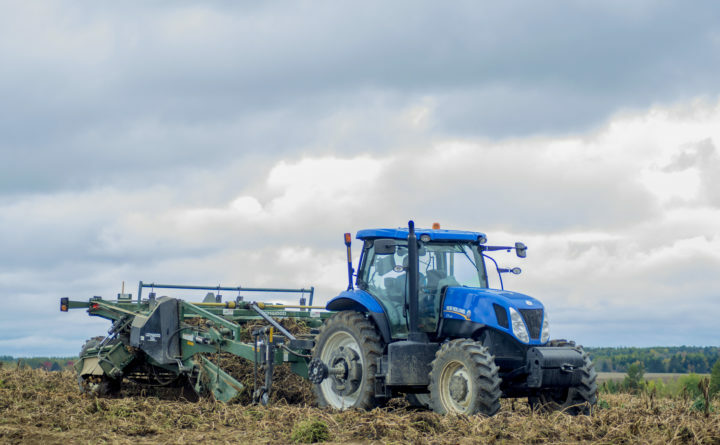 Another concern they are addressing is a growing labor shortage on Maine farms, one that forces farmers to invest in expensive mechanical equipment that do the jobs once performed by human hands. Townsend said she did not grow up on a farm, but spent her childhood working on her grandfather’s Aroostook County potato farm during the harvest.